Smooth leather traditional design safety shoes from Blackrock. 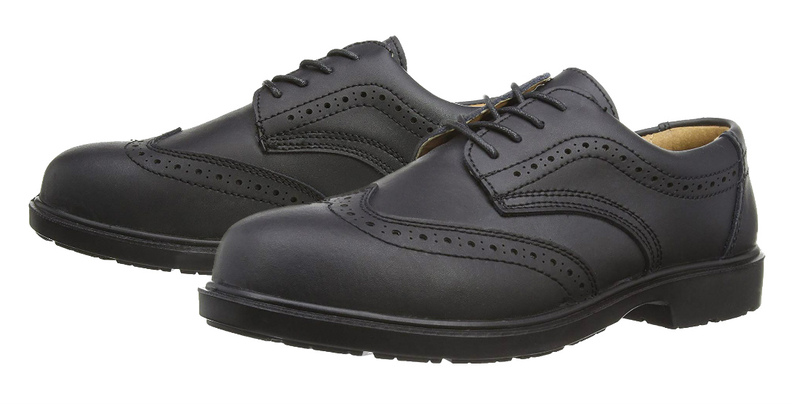 Traditional Brogue Design safety shoes with Steel Toe Cap and Steel Midsole for full Protection. 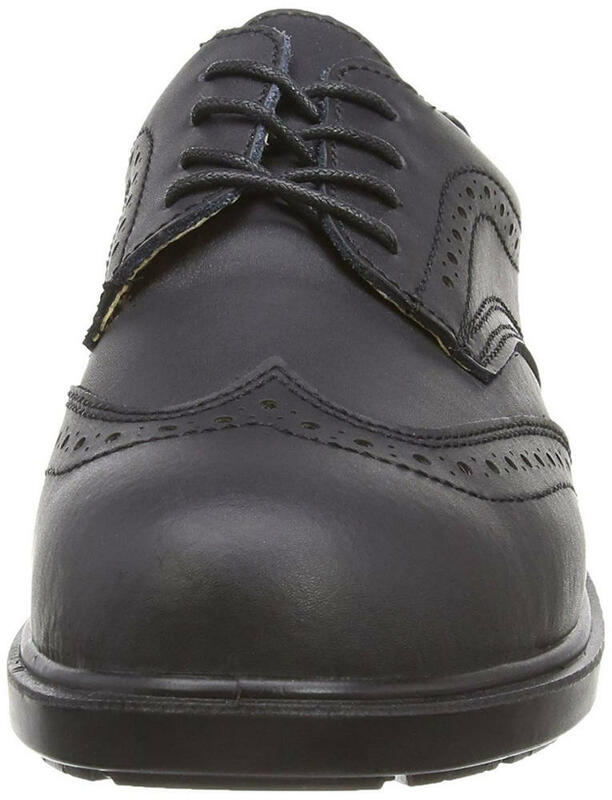 This smart brogue safety shoe comes with a decorative pattern to the front and sides of the black leather material. Removable insole and the inner is lined with a tan coloured suede\leather. Specifically designed for Warehouse, Workshops, Mechanics, Security Guards work space where safety footwear is required. 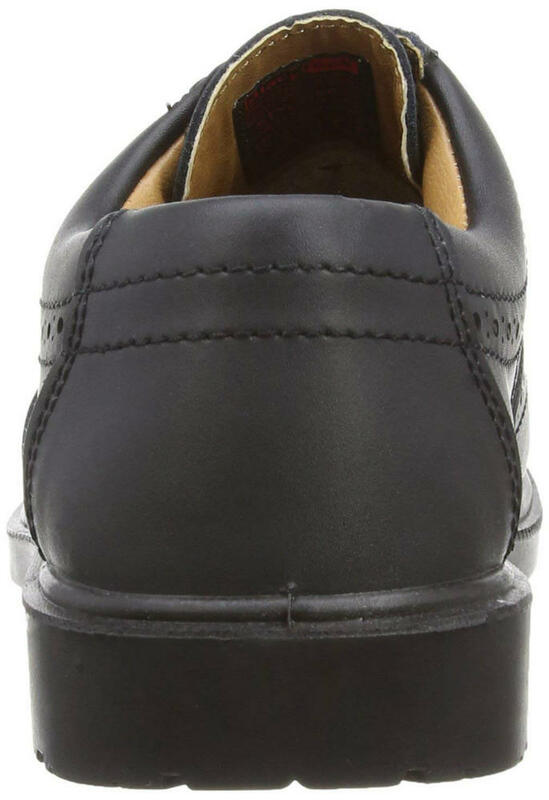 Blackrock SF31 Brogue Safety Shoe conforms to: EN20345 S1-P SRC Safety rating.